For many mums the natural anxiety of visiting the dentist is often made worse by the worry that our children will become nervous themselves. 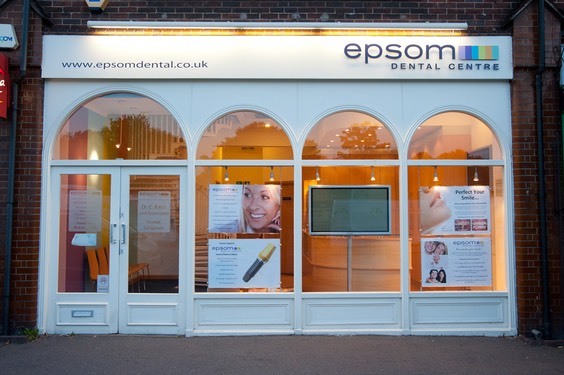 At�Epsom Dental Centre�they take mums' anxieties seriously and strive to provide a calming, family-friendly service that will put parents and their children at ease. "Our mission is to practise gentle dental treatment," explains owner and principal dentist Dr Chig Amin. "We aim to treat our patients as we would wish our family to be treated." "We try to achieve this with our caring and skilled dental team that always puts our patients' needs first," continues Chig. "We look after our patients and their children in our modern, comfortable and safe environment." The team's goal is to give a totally personalised service suited to individual needs and preferences. "We try and make everyone feel at ease as soon as they walk through the door," adds Chig. They are keen to promote dental health in their local community and�Epsom Dental Centre�is�currently carrying out visits to local nurseries to get the correct messages across from an early age and give parents information packs. All children are entitled to free dental treatment under the NHS so it's important to get your kids used to visiting the dentist as soon as possible. "If you currently have a family dentist for your child, I recommend that you attend every six months unless otherwise advised by your dentist," advises Chig. If you do not yet have an NHS dentist for your child, Chig would love to welcome you at�Epsom Dental Centre�with his�very child-friendly team.�Epsom Dental Centre�has ground floor access with buggy space and offers after-nursery/school appointments for parents' convenience. "We advise that the first appointment is aimed at getting your child used to the sights and sounds of the practice so they gain in confidence at future visits," explains Chig. "We provide our patients with the highest standard of care, quality treatments and service to ensure they are more than happy with our service," says Chig. "We want our patients to relax in our practice, confident in the knowledge that they are getting the best treatment, with great dentists to fulfill all their dental needs." "Our dedicated and welcoming team is enthusiastic and progressive in their approach to dentistry and their service," adds Chig. "Each member of the dental team attends regular courses and workshops to pursue further qualifications to enhance their dental knowledge and customer service skills."